I have just read about the Inclusive Mosque Initiative, a group that was set up in November 2012. At these new Mosques, men and women will be allowed to pray side by side, where at traditional Mosques they pray in separate rooms. Women will also be allowed to lead the prayers. 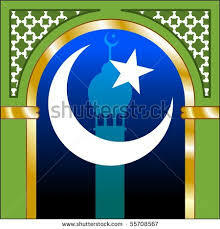 People following all denominations of Islam will be welcomed. Gay people will also be allowed to attend. This is part of a growing global network, with sites in India, Malaysia, the US, Canada, South Africa, Australia and Sweden. Their ultimate aim is to set up a network of Mosques internationally. In the UK, the main language used in their Mosques will be English. They are not trying to discourage traditional community languages, as Tamsila Tauqir told BBC 5 Live, but want to be more applicable to converts as well as younger Muslims. No Muslim will be surprised to see these plans being criticised, since all Muslims know how strongly Muslims feel about tradition and about most of the groups the IMI plan to welcome. However, personally, as a lifelong Muslim who believes in equal opportunities and is not very religious, I think the IMI Mosques sound like a very good idea. In 2008, I covered on Same Difference the case of Mohamed Khatria, a blind Muslim man from Leicester, who was not able to take his guide dog into his local Mosque, because dogs are considered unclean in Islam. This meant, of course, that he could not access the Mosque himself- until he asked imams to change the rule. They agreed, and the Shariah (Islamic Law) Council UK passed a law allowing guide dogs inside Mosques, but not into prayer rooms. I wonder if the IMI’s planned Mosques will take this big piece of progress one step further and allow guide dogs into the prayer room? I certainly hope any IMI Mosques will be fully wheelchair accessible and that Muslims in wheelchairs will be welcomed and made to feel comfortable by everyone while praying. This has got me thinking about one more disability-related point. I wonder how Deaf Muslims pray at traditional Mosques? I hope any IMI Mosques will translate the call to prayer, any religious speeches or lectures, and prayers into British/Arabic Sign Language. It should be quite easy for a deaf Muslim to follow the prayer in a mosque (it is the same as when any group of people are praying together). The prayers follow a formula and all but two things — the recitation from the Qur’an in some of the raka’ats (‘units’ of prayer), and the sermon on Friday — are entirely predictable. In most mosques in the West, particularly those run by Asians, the sermon is always the same: it is a short, stock Arabic sermon. In an Arabic-speaking country, a proper sermon is given here which could be any length. Since the prayer is in Arabic, no other language, including sign language, will do. There is often another sermon before the adhan on Fridays, to make sure there is a meaningful sermon, and this can be given in any language. This may or may not be translated into sign language — it’s something that can be arranged, but usually isn’t. IMI do sign the adhan for each of their prayers. Although we do not have any Deaf members yet, we would be very happy to welcome them into our community and could certainly look into translating talks etc. Many thanks for taking the time to comment Sania. Wonderful initiatives, long over due. Islam is all inclusive and flexible but our Maulvis have made such rigid interpretations of the teachings. I would love to see Christians and Jews also being invited into the mosques for prayer and discussions. Best of luck. islam should be all inclusive and not exclusive if it is to appeal to all mankind.